Chennai is a city of five million people located on the south eastern coast of India. This city is also home to Cornerstone University, a good friend of Worship In Action. Friends at Cornerstone have written us to ask for help in recovering from the worst flooding their densely populated city has seen in 100 years. To date, approximately 280 people have lost their lives in the flood. Our friends in Chennai tell us the flood waters have entered most first floors of buildings, homes and places of worship; in some places waters have reached second level floors. The rains have washed out roads, destroyed bridges, kept supply trucks (fuel, food, drinking water) from entering the city, and caused massive power outages. Communication services have been down and unreliable, so people haven’t spoken with relatives or friends to say they are safe. Many are still missing. Countless people have lost their homes, household belongings, clothing and even vehicles were washed away. Will you please join us in praying for the people of Chennai? Pray the Lord visits this city in a way that brings people to Christ. Please also pray for our Christian brothers and sisters who will step forward in this crisis to help people in desperate need. We pray the hope within them will serve as a witness to the lost. Worship in Action volunteers from Cornerstone University are prepared to be the hands and feet of Christ right now in Chennai. But they need our support. A donation of any size will equip these WIA volunteers with food, clothing, and other emergency essentials during this crisis. Please join us by clicking the donate button below. Thank you for your continued support and concern for hurting people around the world. May the Lord abundantly bless your generosity, and supply all your needs according to his riches in glory. I’ve been watching an increasingly grim situation unfold on the news over the last several months, and feel it’s time to take action. The severity of the Syrian and Iraqi refugee crisis cannot be ignored. According to reputable organizations like World Vision, more than 12 million people have fled Syria or are internally displaced in refugee camps. Can you even begin to visualize 12 million refugees? Even more difficult to imagine is that half of these refugees are children! To put things into perspective,12 million people is more than the combined total of all those impacted by the Haiti Earthquake (3.5 million), Hurricane Katrina (1.7 million) and the Indian Ocean Tsunami (5 million). How can we ignore this crisis any longer? My heart is burdened to send aid to the millions of men, women and children (not unlike my own children and grandchild) who have fled their homes in search of safety. As I write to you, I think of the millions of children who have quit school; who no longer sleep in their own beds at night; and who are especially vulnerable to illness, malnourishment or even exploitation. Then I think: what if my family found ourselves in similar circumstances? The Golden Rule just may be our greatest tool for sharing Jesus in this very difficult part of the world. Worship In Action is partnering with Operation Blessing to be the hands and feet of Jesus among refugees and Internally Displaced Persons in search of safe shelter and critical supplies to meet urgent needs. Please join us this month as we put our worship into action on behalf of these hurting people. As children around the world return to school, seats will be filled to capacity and overflowing at Royal Seed School. Imagine the school yard, brimming with children gathered in lines for morning assembly. Teachers lead prayers and songs. The school band of drums and horns plays the national anthem and sends the children off to their classrooms. It’s 8am and several hundred children fresh with sleep and breakfast, sit three to a bench with simple notebooks and pencils in hand. The teacher begins by writing on the chalkboard the day’s lesson. The children copy the words and pictures into their notebooks and memorize the information. Classroom materials are scarce in this school. Royal Seed School began as a piece of tarp stretched overhead and attached to four poles pushed into the ground. Today, the school is a beautiful concrete complex of a dozen classrooms. 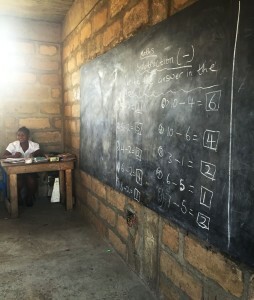 Each classroom has simple benches for the children and a desk and chalkboard for the teacher. It resembles an old fashioned country school room with even fewer materials. Children from Royal Seed Home and the surrounding (impoverished) neighborhoods faithfully attend class every day. Naomi, the school’s founder, never turns a child away. Nor does she collect school fees. 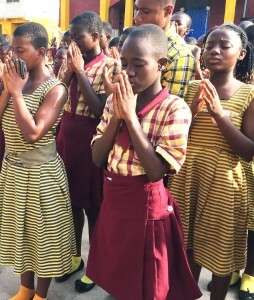 She relies completely on God to provide for the school. This year, Worship In Action made an investment in Royal Seed School by purchasing teacher text books and ceiling fans for the classrooms. But, there is so much more we can do. We have created an educational fund for Royal Seed School. 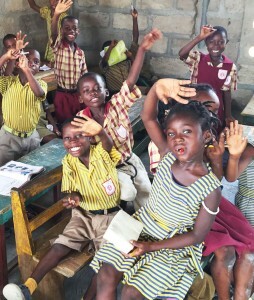 Our goal is to raise $3,500 USD to purchase complete sets of textbooks for every classroom. In Ghana, the average price for one student textbook is 15 Cedis or $4 USD. A contribution of $20 will purchase five textbooks. $40 will purchase 10 textbooks. $100 will purchase 25 textbooks. Please consider joining us this month. Our combined contributions have the potential to significantly improve the educational experience year after year for thousands of children. To make a donation to Royal Seed School fund, please click here: CLICK HERE! Elizabeth came to Royal Seed Home as a young child. A Good Samaritan neighbor who lived near Elizabeth and watched over her, knew that Elizabeth’s Mother had abandoned the child and left her in the care of her Father. Elizabeth’s Father was a well-known drunk who rarely slept at home and who after heavy drinking, frequently awoke in strange places, such as in ditches or on the streets. Elizabeth’s Good Samaritan neighbor did all she could for Elizabeth but knew the child needed consistent care. The neighbor called social services who promptly removed Elizabeth and brought her to Royal Seed Home. 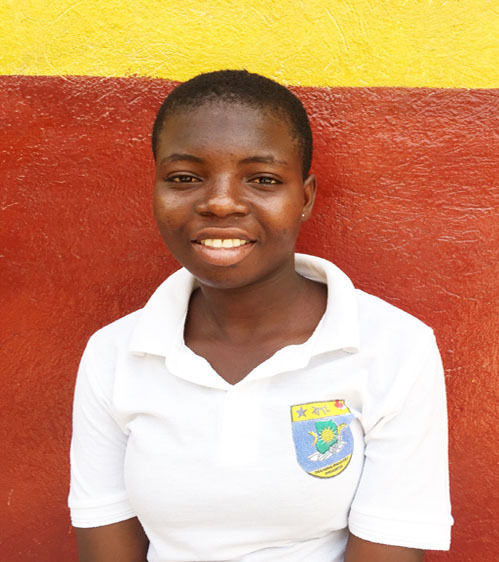 Elizabeth is now a senior student who attends a technical school and helps care for the younger children at Royal Seed Home. She is a beautiful girl who is well today because someone cared enough to intervene. As with many of the children who have grown up at Royal Seed Home, Elizabeth has made a vow in her heart to always help her Mom, Naomi, carry on the work of the home. 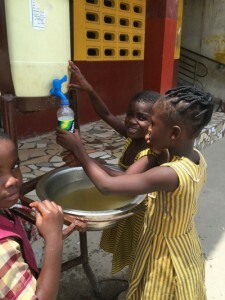 According to the World Health Organization, global communities have made significant improvements over the past decade to reduce the spread of waterborne and water-related diseases. However, nearly 2.4 billion people on our planet today still lack access to clean drinking water and sanitation. For example, 1000 children under the age of five die every day from diarrhea caused by inadequate water, sanitation and hygiene. 15 years ago, that number was 2000 deaths per day. Access to clean drinking water and sanitation is one major step we must take to improve the lives of the poor. This is why Worship In Action recently invested in repairing the water filtration system at Royal Seed Home. While in Ghana, Worship In Action team member, Kathy Law, noticed children filling old water bottles with yellow tinted water. She learned the home uses a pump to draw water from a well on the property, and the water goes through a filtering system for purification. Unfortunately, outdated wiring in the well house sparked a fire that burned up the system, and the home had been without pure water for weeks. 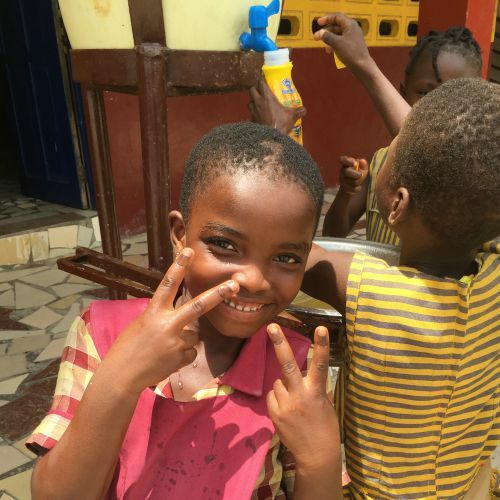 Through the generous support of our partners, Worship In Action fixed the water well and immediately improved the living condition of the children and caregivers. God is good and wants to use each of us as an answer to others’ prayers. Naomi and the children pray daily for provision. We are a part of God’s answer to their prayers. Every gift makes a difference. If you haven’t already done so, please join us as monthly partners by clicking here. Naomi Esi Amoah of Royal Seed Home in Ghana truly lives 1 John 3:16. I met Naomi several years ago and felt so encouraged by all she does to rescue abandoned children. It is not uncommon for Naomi to drop whatever she is doing to respond to a phone call from the local police, asking her to pick up a child who has no family nor home. This is how Ekwo came to Royal Seed Home. Ekwo was living on the streets when police arrested him for stealing. Social services contacted Naomi and asked her to shelter the boy while they searched for his family. It was a Sunday morning and Naomi promptly left church to meet Ekwo at the police station. She then brought him to Royal Seed Home where he found a bed, food, school, God’s unconditional love and forgiveness. Social services did eventually locate Ekwo’s family; however, not one person in his immediate nor extended family wanted anything to do with him. Sadly, Ekwo was dead to them. Ekwo’s past is one of struggle and sadness. However, when you ask him to share his story, tears fill his eyes…tears not of pain, but rather gratitude. 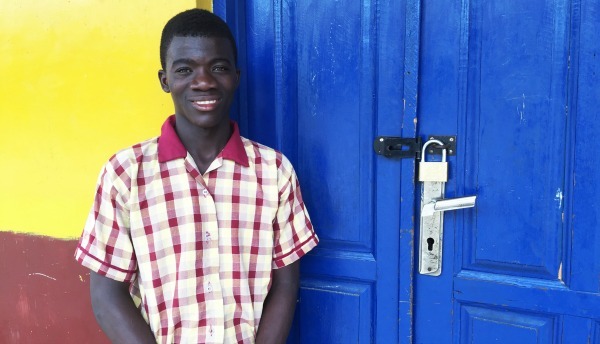 Naomi rescued this young man and gave him a future and hope. A young man destined to spend his life behind bars, now has the support system he needs to make something of himself and to do something great for God. It is because of Ekwo and the many other orphaned children that I support Royal Seed Home. A monthly gift of $25 provides one month’s supply of food for each child at Royal Seed. Thank you to each of our partners who gave in response to Worship In Action’s Nepal Earthquake outreach. I am very happy to report that together we gave $5000 to the relief efforts. Our contribution provided immediate and critical supplies such as blankets, food, and safe water to those impacted by the earthquakes in Nepal. We believe God received glory during this outreach and through us demonstrated his love to many people. Friends have asked if we will continue our involvement in Nepal, and the answer is YES. Worship In Action has an established disaster relief fund that actively receives and distributes donations from our partners to areas around the world impacted by natural disasters. 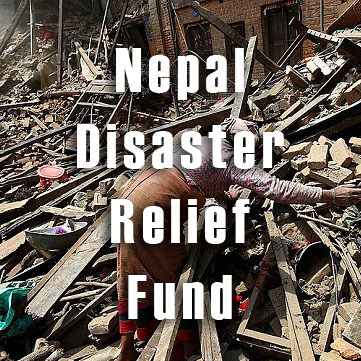 We invite our friends to continue to give to this disaster relief fund, and these funds will go to Nepal for the ongoing rebuilding efforts. We know life will never be the same for the Nepalese who have lost family members, homes, jobs, and their earthly possessions. We can’t return to them what was lost; however, we can support them in a way that is a testimony of God’s faithfulness and presence in the earth. To give to Worship In Action Disaster Relief Fund, click the button below. I’m sure you have closely followed the reports of the 7.8-magnitude earthquake that struck the heart of Nepal this past Saturday. News agencies are reporting upwards of 4,600 people have died. Thousands of survivors have lost homes, hospitals are overwhelmed treating injuries and quickly running out of medical supplies, and many rural communities are completely unreachable. The situation is heartbreaking and desperate. If you have not yet made a donation, please consider giving to Worship In Action’s Nepal Relief Fund. 100% of your donations will be combined with my personal donation and sent directly to Operation Blessing in Nepal. Esi Amoah came to Royal Seed Home as a newborn baby. In Ghana, children are named after the day of the week on which they are born. 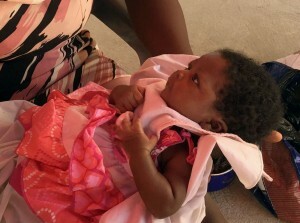 Baby Esi means “Sunday born” which is the day she arrived at Royal Seed Home. 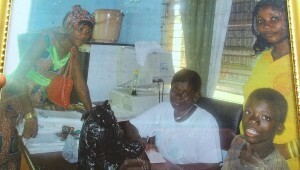 Esi’s birth mother abandoned her upon delivery. Esi’s Grandmother, who was her closest living relative, did not have the capacity to care for a baby and brought her to Royal Seed. Esi had only had water for three days and was immediately hospitalized for dehydration. Recently, Esi had a second health battle and spent several more days in the hospital fighting for her life. Had it not been for the attentive love of the caregivers at the home who noticed she was having difficulty breathing, Esi would not have survived. Gifty is a little girl with whom it is easy to fall in love. She is tender, shy and kind. And, she has an incredible story. Don Moen and his band met Gifty on one of their visits to Royal Seed Home in Ghana. A group of children were playing in a field one day when they noticed a black plastic bag wiggling around. Afraid the plastic bag had a snake inside, they began to hit it with sticks to try to kill the snake. Adults nearby noticed the commotion and stopped the children. When they opened the plastic bag, they found a newborn baby girl…Gifty. Local police received the baby and then brought her to Royal Seed Home where Mrs. Naomi took her in and gave her the name “Gifty”…God’s gift to us. Gifty lived at RSH for the first few years of her life until an American family adopted her. God has a beautiful future ahead for this little treasure. He preserved her life and used Royal Seed Home to do it. Today, there are 190+ Gifty’s who have found food, shelter and a family at Royal Seed Home. Every donation we receive in Gifty’s name goes to provide for children just like her…rescued ones with bright futures.